How much is Jim Mackay Worth? Jim Mackay net worth and salary: Jim Mackay is an American golf caddy who has a net worth of $5 million dollars. Jim Mackay was born in England and grew up in New Smyrna Beach, Florida. He began playing golf when he was younger and went on to play while in school at Columbus College. From there, he was hired to work at the Columbus' Green Island Country Club in their ball and bag room. He began caddying soon after, working with Larry Mize, Scott Simpson, and Curtis Strange. In 1992, he began caddying for Phil Mickelson. Their golfer/caddy partnership has been one of the longest in golf's history, and has become one of the most successful. As Mickelson's caddy, Jim Mackay, often referred to by his nickname, "Bones" due to his lanky frame, has helped Mickelson to wins at the 2004 Masters, the 2005 PGA, the 2006 Masters, the 2010 Masters, and most recently, the 2013 Open Championship. Jim Mackay worked with Phil Mickelson for 25 years. Their partnership ended in June 2017. 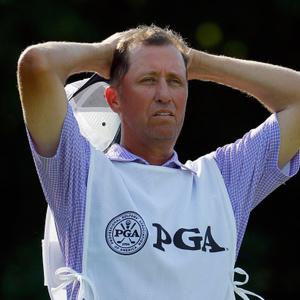 Jim Mackay Salary: Professional golf caddies earn a base salary and 5-10% of a tournament purse. Jim Mackay earns between $500 thousand and $1 million per year.